Telltale Games, the folks behind episodic game titles for The Walking Dead, Back to the Future, and Game of Thrones is set to collaborate with Mojang on a new narrative-driven game set in the world of Minecraft. The announcement came from Mojang itself alongside a few snippets of information about what the collaboration entails. 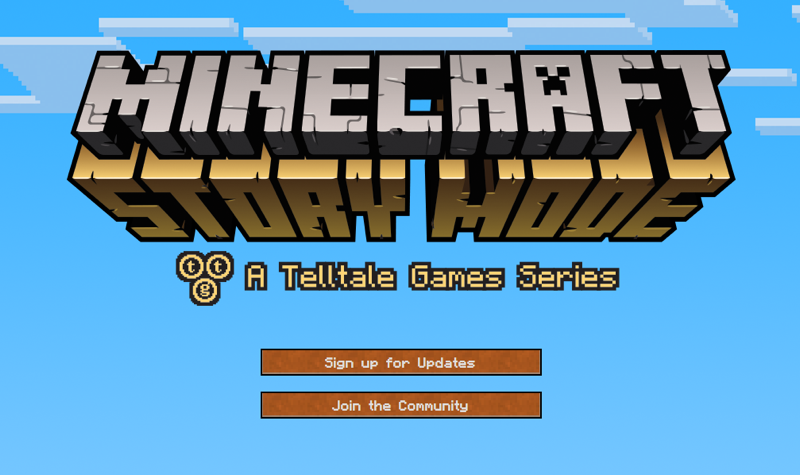 In a separate announcement Telltale confirmed the tie-up, saying this will not be an add-on for Minecraft, but rather a separate stand-alone product called Minecraft: Story Mode that will arrive in 2015 on PC, Mac, PlayStation and Xbox consoles, as well as Android and iOS mobile devices. The game will mix new characters with familiar themes, in an entirely original story driven by player choice and inspired by the Minecraft community. This is the first major announcement for the franchise since Microsoft completed its $2.5 billion acquisition of Mojang. Minecraft creator Markuss Persson announced he would be leaving the company shortly after the deal was made public to focus on doing other ‘cool stuff’.